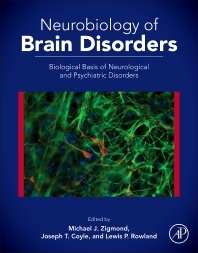 Neurobiology of Brain Disorders is the first book directed primarily at basic scientists to offer a comprehensive overview of neurological and neuropsychiatric disease. This book links basic, translational, and clinical research, covering the genetic, developmental, molecular, and cellular mechanisms underlying all major categories of brain disorders. It offers students, postdoctoral fellows, and researchers in the diverse fields of neuroscience, neurobiology, neurology, and psychiatry the tools they need to obtain a basic background in the major neurological and psychiatric diseases, and to discern connections between basic research and these relevant clinical conditions. This book addresses developmental, autoimmune, central, and peripheral neurodegeneration; infectious diseases; and diseases of higher function. The final chapters deal with broader issues, including some of the ethical concerns raised by neuroscience and a discussion of health disparities. Included in each chapter is coverage of the clinical condition, diagnosis, treatment, underlying mechanisms, relevant basic and translational research, and key unanswered questions. Written and edited by a diverse team of international experts, Neurobiology of Brain Disorders is essential reading for anyone wishing to explore the basic science underlying neurological and neuropsychiatric diseases. Understanding Racial Differences in Health: A Role for Stress? Over the past year, Dr. Zigmond and his research team have continued their studies of cellular and animal models to examine Parkinson's disease (PD), which they believe is a multi-factorial disorder. A major focus of the lab is the role of intracellular signaling cascades in determining the viability of dopamine (DA) neurons. They hypothesize, for example, that trophic factors such as GDNF and oxidative stress can both stimulate intracellular survival cascades, including those involving MAP kinases. They further believe that endogenous trophic factor expression can be enhanced by exercise which in turn can be neuroprotective. And they have evidence that protection also can derive from acute exposure to low levels of a neurotoxin, a form of preconditioning. Last year their work included studies of the impact of oxidative stress induced by 6-hydroxydopamine (6-OHDA), a DA analogue that is concentrated in DA cells and rapidly breaks down to form reactive oxygen species. Results from these and other studies suggest that DA neurons react to stress by initiating a set of protective responses. Learning more about these responses may provide insights into new treatment modalities for PD. In the coming year, Dr. Zigmond will continue to focus on understanding the strategies DA neurons use to reduce their vulnerability to intracellular stress. For example, studies are underway to determine if inhibition of trophic actor action or of kinase activation will block neuroprotection seen with exercise or GDNF or increase 6-OHDA toxicity. Some of these studies involve the preparation of molecular biological tools that maintain kinases in a constitutively or dominant negative state and/or localize a kinase to the cytoplasm or the nucleus. In addition, histochemical methods are being developed to quantify kinase levels in different cellular compartments of identified cells. Department of Neurology, University of Pittsburgh, Pennsylvania, U.S.A.
Columbia University, New York, U.S.A.